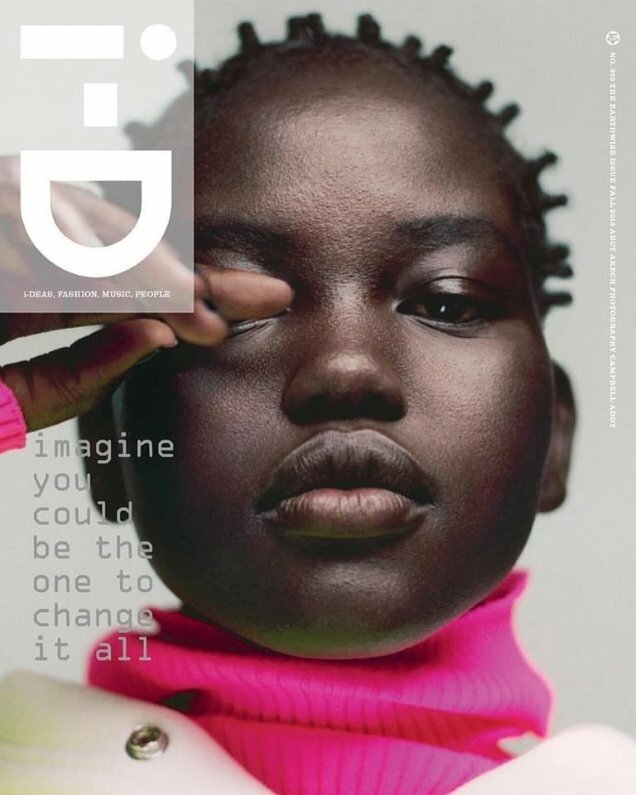 Our forums have a love/hate relationship with i-D Magazine and we went a whole year without being bothered with the magazine until a series of Spring 2018 covers blew us away — which were unfortunately followed by an unimpressive Kaia Gerber offering for Summer 2018. The publication now moves on to Fall 2018, adding another dash of diversity to the newsstand with Adut Akech, Adesuwa Aighewi and Anok Yai as its latest cover girls. 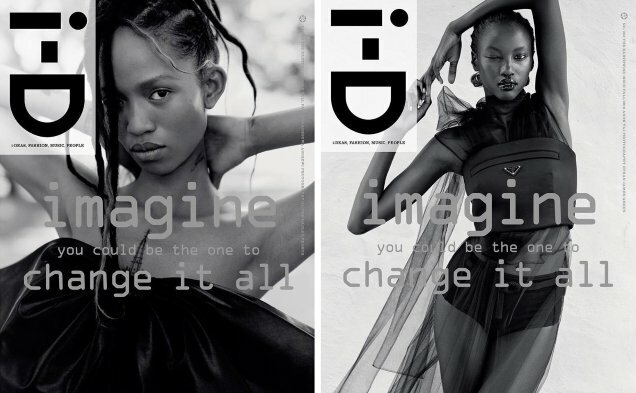 In the trio of covers, Adut (below) was photographed by Campbell Addy, Adesuwa captured in black and white by Oliver Hadlee Pearch (below, left) while Ethan Green James shot Anok (below, right) for the third and final cover. As per usual with multi-covers, there’s always one that stands out to our forum members. “I was hoping for an epic group shot when I saw the thread title. Love Adut’s cover! She is a treasure!” raved mikel, seconds after the covers all surfaced. “These are all quite lovely covers but Adut’s one definitely stands out. It might just be the use of color, but the composition is also quite striking and works well,” Nomar chimed in. “When Adut’s name turns up in a thread title, I’m right there. The other two girls don’t stand a chance against her cover shot,” said tigerrouge. Sharing the same enthusiasm toward Adut’s cover was forum member YohjiAddict. “Adut’s cover feels very early 2000s in a way and yet completely relevant to the moment. The image is so simple but so effective: her skin has this metallic shin that pops against the bright pink sweater, the way she covers her eye seems very graceful yet nonchalant and that stare is just killer,” he wrote. “Wow at Adut’s cover, such an incredible shot. It’s powerful and calm at the same time, I’m in love with it. Bravo to her and Campbell,” said apple. Do you agree? Which cover would you pick down at the newsstand? Join the conversation here.